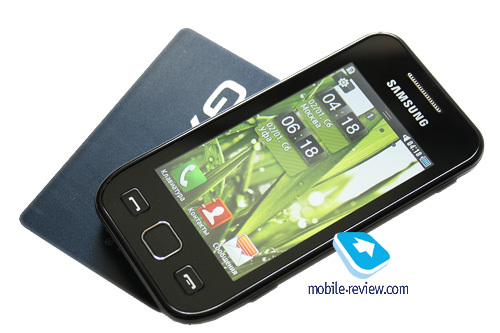 Mobile-review have posted their review of the SAmsung Wave 525. Here is their final impression. I will not dwell on issues of connection quality and signal reception, because my sample had no problems with it. The loudspeaker of Wave 525 sounds great and sometimes can even be too noisy if you choose an annoying and loud ringtone. The speaker is also loud enough and you can always hear an interlocutor. The vibro is medium. Sometimes you feel it well, but on occasions you can miss it. The phone will go on sale in October, so the manufacturer has some time to polish the model off, but I did not find any serious bug anyway (as opposed to Galaxy S). The price has not been finalized yet, but it will be between $260 and $400. Among the strong points of this accessible model I can mention two: a very bright screen with good viewing angles and Bada platform. Curiously enough, after you familiarize with the platform you understand that Samsung does not run risks by offering models on third party OS and creating something original at the same time. For a company, which produces dozens of similar phones a unified platform is quite sensible and Wave 525 confirms this. Everything is logical and convenient in the model. The fonts are not the best, but the menu and interface are easy to use. The only complaint I have is that it would be more appropriate if the central button could return users to the idle screen and not the programs menu. We should not treat Samsung Wave 525 as a bestseller, just because it has a "Wave" element in its name. This is only a new benchmark for entry level touchscreen phones and it will be produced in high quantity. Samsung Wave 525 sets new standards of phone functions and phones in general. The design is more original and we move closer towards handsets with touchscreens and without hardware keypads. The tendency is quite obvious. Samsung Wave is a awesome mobile phone you can mobile phones rates and specification on many sites.